Stained, deformed, or broken teeth can make you feel self-conscious and have a negative impact on your self-confidence. Amy Mandalia, DDS, at Buckhead Dental Care recommends porcelain veneers for a smile that's both functional and beautiful. Located in Buckhead, Atlanta, the experienced team at Buckhead Dental Care can help you look and feel your best with custom veneers. Schedule online or call for an appointment. Veneers are thin porcelain shells designed to cover the front side of your teeth and enhance your natural smile. Dr. Mandalia at Buckhead Dental Care custom-fits each veneer to the individual teeth in your mouth, then bonds the veneers to your existing teeth. Veneers cover blemishes such as misshapen teeth, stains, cracks, or gaps. They can also restore delicate teeth. Although veneers can be made out of resin composite materials, porcelain is the most stain-resistant material. Porcelain also tends to match your natural enamel better. 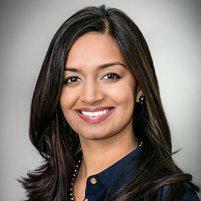 Dr. Mandalia explains your options and suggests the best type of veneers for you. Following the initial consultation to review your desired results and the kind of veneers that are best for you, you come back for a second appointment. Here, a skilled cosmetic dental specialist readies your current teeth for the shape of the veneers by scraping off a minimal amount of enamel from the surface. After your teeth have been prepared, your dental practitioner makes an impression of your teeth so the dental lab can create your custom veneers. Book a consultation online or call Buckhead Dental Care today to see how easy it can be to improve your smile with custom veneers.